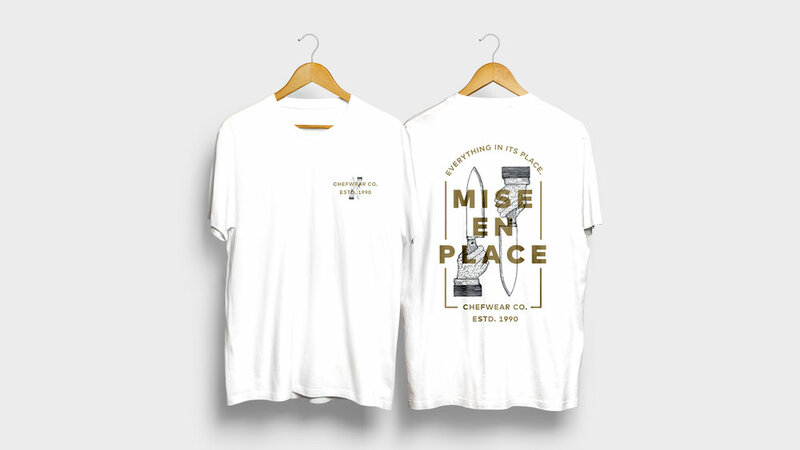 For this design, I decided to work around the French phrase “Mise en place.” or Everything in its place. It refers to the set up required before cooking, and is often used in professional kitchens to refer to organizing and arranging the ingredients but can be used in everyday life. I was inspired by old engravings and decided to overlay a clean type lockup. 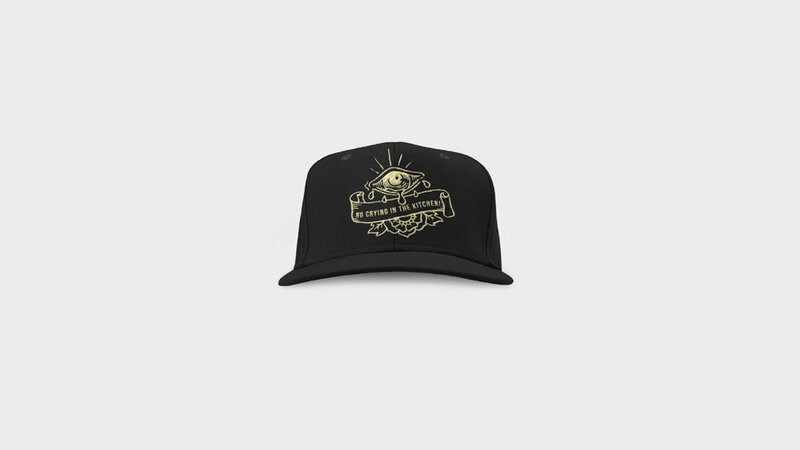 For this option, I really wanted the design to reflect the aesthetics of old school traditional tattoos. I wanted to use textures and stippling to reflect an aged quality. I remember when tempers would flair on particularly tough days in the kitchen, the chef would always yell "No crying in the kitchen" to whoever had their feelings hurt. It was always something that stuck with me, it was funny to use it in a design. I always felt for the bakers in kitchens, they are always the first ones in the kitchen to make sure everything is in the oven and ready for when it comes to service time. It is often too that they are the last ones to leave to set up breads and pastries for the next day. 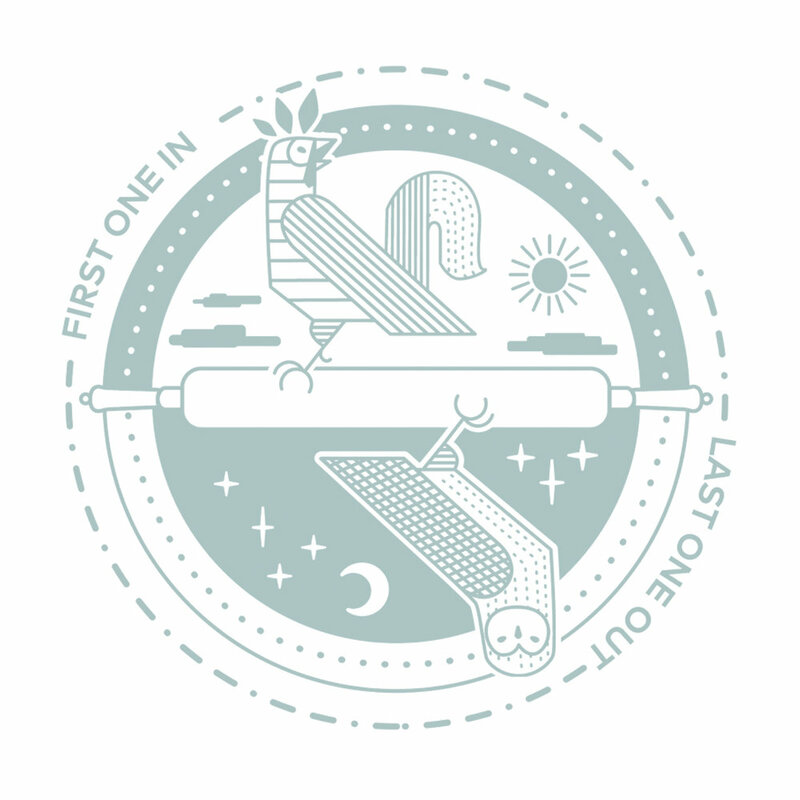 I wanted to recognize that in a clean badge design that played on the idea of early mornings and late nights.